Anyone familiar with my posts knows that I strongly dislike the term “pretentious” when used in the context of a negative connotation to put down the work of an artist. I believe it to be incredibly damaging, not only to the artist and their work, but to the artistic community at large. In truth, it says far more about the accuser than it does the recipient, but it nonetheless creates an atmosphere of fear that will keep many an artist from exploring their work more deeply out of fear that they will be mocked, that their heartfelt effort, their daring and risk-taking will be deemed pretentious. Of course, “pretentious” has no real meaning unless one is personally familiar with the artist and their intentions and can speak directly to that. Simply viewing an artist’s work and deeming it pretentious is to, quite simply, misuse the word. The same goes for the term “self-indulgent.” At least when used in a negative context. 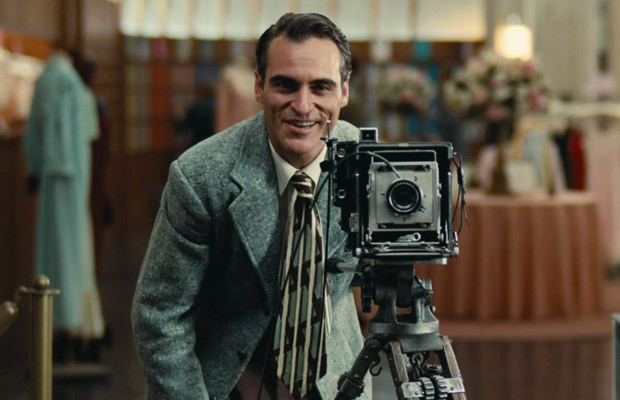 I recently saw Paul Thomas Anderson’s newest film THE MASTER. Before seeing it, I had heard all types of reactions to the film. Those who loved it, considered it the best film they’d seen all year. Others who hated it, found it boring or meandering, didn’t understand the point. All are valid reactions. The only response I took offense to was from a producer acquaintance of mine who railed against the film for being “self-indulgent.” Her interpretation was that the filmmaker didn’t care about the audience, that he willingly went forward and made a film that would alienate its audience and didn’t seem to care. She explained that a filmmaker must consider the audience first. I could not possibly disagree more. I’m not saying that a filmmaker should not care about his or her audience, but I do not believe that second-guessing an audience’s reaction is the best way to create meaningful films. Or any type of art. And let’s be honest here, considering whether your film may or may not alienate some people is to second-guess their reaction. Second-guessing is fraught with far more dangers than trusting your gut, following your instinct. At the very least, second-guessing will likely hold you back from taking risks, from truly exploring what’s inside you if you worry that some people may feel alienated or not “get” your work. What a tragic world that would be to live in. But that is exactly what contemporary Hollywood uses as its filmmaking model. Films geared toward the lowest-common-denominator; stories made up of a conglomeration of scenes and story-lines from other successful movies rearranged into something “new” yet painfully, lifelessly familiar. Self-indulgence is a necessity to artistic endeavor. Who else, if not ourselves, are we indulging? Now I’m talking art here, not commerce. If your only goal is money, then second-guessing the audience is exactly your business model. THAT is your skill, your craft, your talent. It is a completely valid approach, but don’t expect the fruits of that particular enterprise to result in truly captivating, original cinema. However, if your goal is to make an amazing film, a work of art that reaches out and effects people, to tell the stories that are in your heart, to share with other human beings something primal, something honest and heartfelt that explores the many facets and depths of what it means to be a human being and what it means to be a storyteller in modern society, then one MUST trust that what they want to say and how they want to say it is not so completely outside of the human experience as to alienate the rest of the human race. So we MUST indulge ourselves, we must TRUST that we are at our cores storytellers and that, like dreams themselves, our stories take on many forms, elicit various emotions, some easy to comprehend, others requiring some measure of introspection and exploration. Some are comfortable and pleasant, others churn in our guts and haunt our thoughts, all the while defying expectation or easy explanation. My comment to my producer friend was that the term “self-indulgence” as a negative connotation is really in the eye of the beholder: one person’s “self-indulgence” is another person’s “masterpiece.” But she disagreed insisting that self-indulgence is self-indulgence and nothing else; there is no other interpretation. Her argument that Paul Thomas Anderson made a film and didn’t care if it alienated audiences is based solely on this producer’s personal experience of feeling alienated and moving on the assumption that that is the reaction of most, if not all, people. That is a singular, personal experience and, even if you know others who have shared it, is in no way a negative reflection on the filmmaker. I know just as many people who loved THE MASTER, who were knocked out by the film, as those who were confused by it, bored by it, found it less than entertaining. I, personally, fall in the former camp. I thought the film was mesmerizing and complex, invigorating and vastly entertaining. I also thought it was the antithesis of the negative connotation of “self-indulgent.” In fact, some of Paul Thomas Anderson’s earlier works I found to be less effective in their attempts to create a meaningful experience, to tell a rich story. All of his films, however, show an artist taking risks, trying new things, exploring new territories both internal and external. There is nothing more that I could ask from a filmmaker. 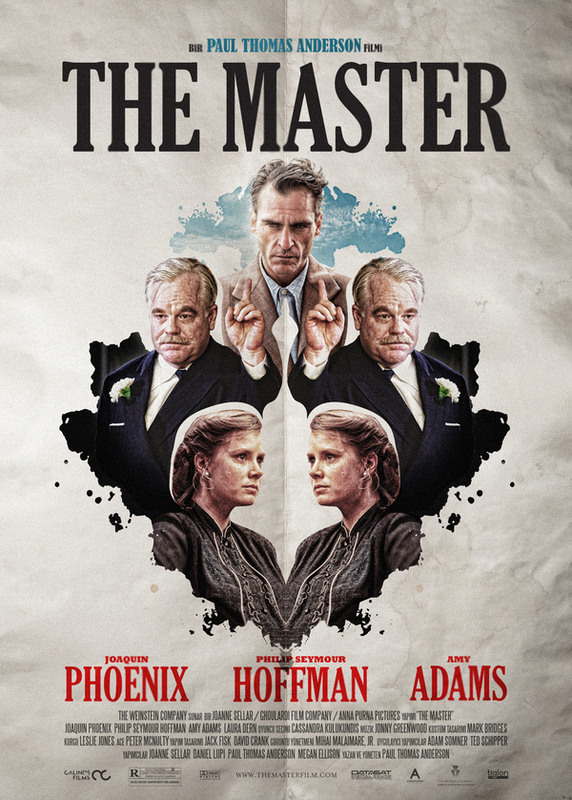 THE MASTER, however, may be the director’s most self-assured film to date. Here is a singular voice, confident in his storytelling capabilities with a clear and distinct vision. If this is the definition of the term “self-indulgence” then I ask that more filmmakers, more artists, engage in self-indulgence so that we as a human race may continue to create great works of art that represent the human condition and our endless desire to explore, to reach beyond the known. My god, where would science be without self-indulgence? Or great meals, or literature, or space-travel, or oceanography, music, exercise, photography, architecture, painting, sculpture… The list is an endless description of the achievements of mankind. The only thing I find unfortunate about THE MASTER are the people whose reaction to the film is to accuse the director as somehow being irresponsible or selfish in his endeavor to tell this story the way he chose to tell it. That attitude is, in no small way, a suppression of the very art form itself and simply another obstacle to be overcome in a culture that has placed so many ridiculous limitations on what constitutes “proper” filmmaking. It seems almost every year there is a decent film –somewhat average, but entertaining– that touches ever-so-gently on something deeper while avoiding actually digging beneath the surface. That film somehow manages to be held aloft as daring, groundbreaking, award-worthy. I’m always amazed at how these mediocre films manage to fly so high in the minds and hearts of so-called film critics. Hell, it’s not just the critics, audiences and Academy members play a big role as well. Now I’m really thrilled to see AMOUR finding its way onto top 10 lists and critics picks this year. Now THAT is a film worthy of its recognition, in this writer’s humble opinion. But I’m amazed by the response to SILVER LININGS PLAYBOOK. Now don’t misunderstand me. I truly enjoyed the film. I was even surprised by how much I enjoyed Bradley Cooper’s performance, an actor I chose NOT to work with many years ago and now wish I had. But SILVER LININGS does what so many films of its kind do: they start off with something potentially deep, something to explore, and then decide to take a lighter, easier route. 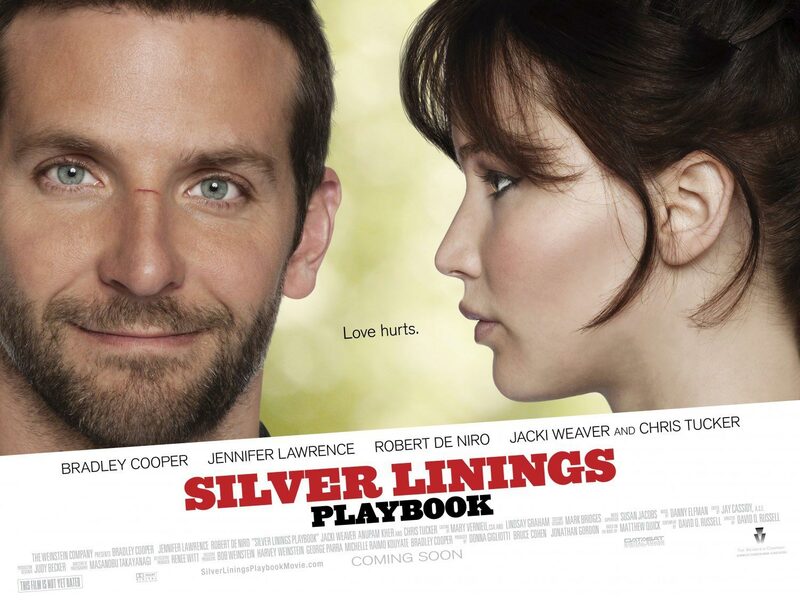 SILVER LININGS –as a friend recently pointed out– descends into predictable Rom Com territory in its second half. Our hero takes his meds, meets a girl, and normalcy ensues. That doesn’t mean it’s not still enjoyable and worth watching. It is. Very much so. But Best Picture of the Year? Or even one of the top 10 Best Pictures of the Year? Best actor? Actress? Adapted screenplay? All three top NY Times film critics suggested that it should be nominated for top Academy Awards. Really? I guess perspective is everything. I say it every year and I’ll say it again: People spend so much time watching Hollywood dreck, surface-level, risk-free filmmaking, that when something comes along that even hints at a deeper subject, Americans parade it through the streets as if it were a welcomed hero. I was at a screening of ZERO DARK THIRTY recently that hosted a post-screening Q&A with the director, writer and one of the film’s stars. The evening’s moderator introduced the director by saying, “I’d like to introduce –and I think everyone here will agree this isn’t hyperbole– one of cinema’s greatest talents, Kathryn Bigelow.” I had to laugh out loud. Not that she hasn’t done a nice job on her last two films, but one of cinema’s greatest talents? You mean the director of BLUE STEEL and POINT BREAK? I thought THE HURT LOCKER was a good film, if not a tad overrated. I think ZERO DARK THIRTY is a good film. I enjoyed it. I admire the work Ms. Bigelow did on that film. But perspective here, folks! It seems to be the bar for greatness has been severely compromised. I suppose what’s most distressing to me about this trend, this need to hold aloft average as great –or even really good as great– is that there are films and filmmakers out there, actors, actresses, writers, DPs, etc., who are far more deserving of that kind of praise, who are genuinely great cinema storytellers and artistic risk-takers, but whose films are barely, if at all, recognized in this country. All the while we “ooh” and “ahh” about the Emperor’s new clothes until we’ve convinced ourselves that they are truly glorious.